de Klerk, E, Eisenberg-Nagy, M, Sotirov, R, & Truetsch, U. (2012). 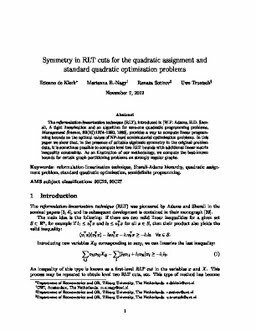 Symmetry in RLT cuts for the quadratic assignment and standard quadratic optimization problems. Optimization Online. Mathematical Programming Society.